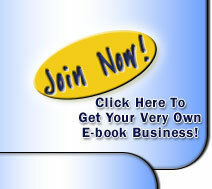 The term e-Book stands for electronic book. It is basically a book that can be read on your PC or palm device. Most other e-Books are exe (executable) files. These need no software to run on your PC. They can also be in the form of a word file or HTML file. Your e-Books will be delivered in zipped up (compressed) format. Do I need broadband to download these eBooks?